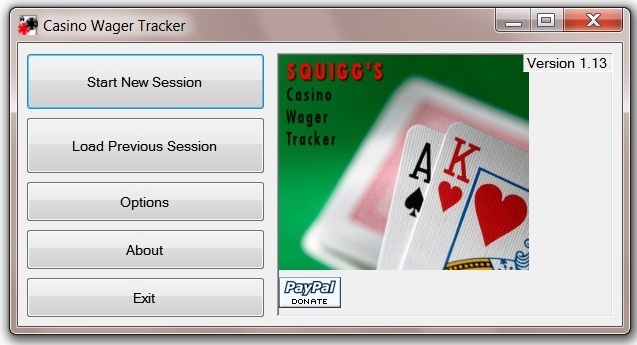 Casino wager tracker by "Squigg" is a very useful little software utiliy that records your blackjack wagering, either for the purpose of tracking bonus wagering requirements or simply as a statistical record of your play. Just about everything you could want to know. Jackpots Heaven Casino has recently been issuing threats against some webmasters on the basis of allegations that the casino regards as libelous: that the casino software uses games copied from established software providers Realtime Gaming and Microgaming, and is as such in breach of copyright law. There is an alleged connection between Jackpots Heaven and little-known software provider Salus Technologies, whose games list shows many games which appear to be copies of games originally developed by Microgaming and RTG. As such, Salus Technologies is almost certainly in breach of copyright. The connection between Salus Technologies and Jackpots Heaven is not currently verified to my complete satisfaction, but the indicators are strong: emails from Jackpots Heaven have apparently originated at servers belonging to Salus Technology, and there is compelling evidence that at least one slot game, "Caesar's Empire", until not long ago listed in the Jackpots Heaven games list page, is the property of Realtime Gaming. As such, it looks very likely that the webmasters' allegations are founded. Please stop spreading false rumors by opening new threads on forums. This is a friendly warning to advise you to STOP NOW. We know you live in USA and you will be help (sic) responsible for every post you have made with false information which ruine (sic) our business. I assure you that your fees you charge to damage our casino reputation will be dwarfed by the legal fees to oppose our lawsuits. If you have an in-house attorney, I recommend that you forward this email to that office NOW. We wish you only the best going forward and regret we must resort to this form of communication. Software provider Microgaming long ago lost any claim to my sympathy. In recent times, the collapse of two of its largest poker rooms, Tusk Gaming and Eurolinx, resulted in losses to players running to millions of dollars, and Microgaming has refused to acknowledge any responsibility in the matter nor issue any meaningful comment. As to Realtime Gaming, their licensees have been causing problems for players from the moment this provider opened its doors for business. I will not waste my time worrying about potential breach of their copyright until such a time as both these providers start to take their responsibilities a bit more seriously. However, other webmasters are welcome to hold their own opinions, and if such opinions result in factually-supported material being published on the web, they do not deserve to find themselves the recipients of such unpleasant and unfounded legal threats. Rather, Jackpots Heaven should conduct its business in such a way as to not illicit such comment in the first place. I'm sure everyone would be happier. There is growing concern over the number of people turning to gambling to survive the recession, a charity says. Research by Credit Action shows that nearly one in 10 adults in the UK has used gambling in an attempt to manage their finances and make extra money. Gamcare. You can contact Gamcare, on 0845 6000 133, post in the forum (you need to register first) or chat online with a Gamcare helper. Gamblers Anonymous. You can contact GA on the relevant number, post in their rather basic looking forum, or live chat - you can type in any username you like, and you don't need to register. I reported on the eCOGRA investigation into Grand Privè a few weeks ago. Yesterday, 15th February, the eCOGRA report on the Grand Prive affiliate programme investigation was released...and immediately provoked quite a storm of controversy. Following a number of Internet-based allegations concerning the closure of the Grand Privé Affiliate Program ('the Program') on 1 December 2008, eCOGRA's Compliance and Advisory Services department was engaged by the management of the company on 17 November 2009. • Independently investigating the manner in which the Program was terminated and the reasons therefore. • Carrying out a full and independent review of the program software and data to confirm amounts owed to claimants. • Compiling a full and transparent report which will be publicly released on conclusion of the investigation. • On 7 December 2009 both eCOGRA and Grand Privé issued widely distributed press releases advising affiliates of the opportunity to submit claims, and also urging affiliate watchdog organisations to assist in ensuring their respective affiliate members were informed of this opportunity. • An online Claim Submission Form for affiliates was made available from 7 to 31 December 2009 and claims were collated by eCOGRA. Our investigation included confirming the accuracy and completeness of the database list of emails used in the expanded communications exercise in 2. above. • For commercial reasons, in August 2008 a decision to close the Program effective 1 December 2008 was taken. System problems were being experienced on an ongoing basis due to the Program using software in Beta testing. In order to maintain the integrity of the data three permanent employees were required to manage the Program software. In addition the software provider was required to spend an extensive amount of time assisting and troubleshooting ongoing system problems. This resulted in escalating costs, deteriorating service levels and reputational damage. Due to the high operational overheads and the relatively small portion of income being derived from the affiliate business associated with the Program, losses were incurred by the Program over a period of more than 12 months. After carefully considering alternative courses of action, management decided to close the Program in order to protect other areas of the organisation from further losses. • All affiliates were informed of the intended closure by email on 7 November 2008 and encouraged to move their accounts and players to the Villa Fortuna Affiliate Program, which used improved affiliate program software. A follow up email with the same message was sent again on 21 November 2008. Termination was conducted according to the termination clauses stipulated in the affiliate contracts. • During November 2008 management entered into mutually agreed compensation arrangements for related future player activity with the majority of affiliates who at that time had players considered to be reasonably active. We have however confirmed that certain affiliates were overlooked in this process. • On 1 December 2008 all affiliates were paid November commissions, and the Program was officially closed. • A comprehensive completeness and accuracy audit on the affiliate database provided by the Program was conducted. • The relevant claimants' information was located in the database and information used for the linking and tracking of players associated with the claimants was obtained, in part using information supplied in the claim submissions received from affiliates. • This information was used to manually source all players linked to the relevant claimants within the casino back office database. • The underlying data for the players linked to the relevant claimants was scrutinised to identify players who were still active in the period 1 December 2008 to 31 December 2009. • The actual commission amounts per affiliate were then recalculated using the gaming data, from 1 December 2008 to 31 December 2009, for the linked active players. We have been able to accurately calculate the commission accruing to each claimant for the period 1 December 2008 to 31 December 2009. In order to take into account any potential future earnings, we have added to this amount an additional commission amount for any claimant's players that were active during the 6 month period prior to 31 December 2009. The effect of this is that we have implied an average lifetime value for each of these players of at least 3.5 times the actual2 average lifetime of all Grand Privé players. In our opinion, this is fair and reasonable compensation for the likely future earnings of these players. We wish to thank all those representing affiliates' interests for their feedback and support throughout the investigation. We would also like to note that the investigation team received the full cooperation of the Grand Privé management. A little history of eCOGRA's involvement. Towards the end of 2009, affiliate interest watchdog Affiliate Guard Dog had been engaging with Grand Privè, with a view to resolving the conflict by conducting an audit of the affiliate programme in question. eCOGRA was mooted as a possible auditor, but rejected on the basis that their close ties with Microgaming represented potential impartiality. However, in their Grand Prive and eCogra announcement of December 11th, AGD explained that Grand Privè had rejected their services and engaged eCOGRA directly themselves, ending at a stroke the prospect of a genuinely impartial set of eyes on the process. Why they chose to do this remains unclear. However, assuming it wasn't based on a desire to keep any and all data concealed from the view of anyone outside the immediate Microgaming family, it was a very strange decision, as to let the AGD team in would have ended any possible suggestion of lack of impartiality of the investigation. Neither eCOGRA nor Grand Privè have ever explained why they chose to keep the trusted affiliate auditor at arms' length. 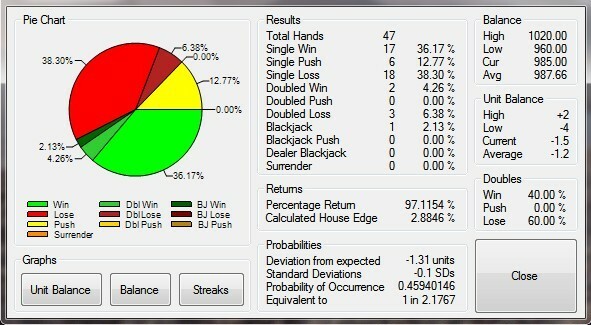 System problems were being experienced on an ongoing basis due to the Program using software in Beta testing...all affiliates were informed of the intended closure by email on 7 November 2008 and encouraged to move their accounts and players to the Villa Fortuna Affiliate Program, which used improved affiliate program software. Why not simply shift the ostensibly "clean" Villa Fortuna programme back to application of the original casinos? Why simply dump the other casinos? The new programme could only have made more money with all the other casinos included. 58 claims were submitted to eCOGRA, of which 7 were found to be invalid1, and 26 earned commissions during the period 1 December 2008 to 31 December 2009. The first issue is that claims had to be submitted at all. eCOGRA had access to the database; why could they not use this to establish who was owed what? "some 26 legitimate commissions were overlooked. These omissions were most definitely unintentional and are regretted." Unintentional? Are they unable to read the data from their own software? Surely if eCogra representatives are able to do so, then they must have the ability to do so. eCOGRA is evidently being a tad euphemistic in the use of the word "overlooked". Although, that said, the entire "settlement" claim appears to be something of a farce anyway, with no affiliate acknowledging receipt of such a thing (see point below). As such, how Grand Privè justified their non-actions seems rather beside the point. During November 2008 management entered into mutually agreed compensation arrangements for related future player activity with the majority of affiliates who at that time had players considered to be reasonably active. We have however confirmed that certain affiliates were overlooked in this process. They refer to the overlooking of certain affiliates, but a satisfactory resolution with the majority. Not one former member of the Grand Prive programme came forward, in the twelve months or so between the closure of the programme and the launch of the investigation, to claim any form of settlement. Not a single one. None of the many people who complained received any kind of settlement. Yet eCOGRA claims that a majority was settled with, leaving only an outstanding minority - an absolute reversal of the truth. Even accepting the caveat that not all affected members would have had "players considered to be reasonably active" as per the stipulation, this claim by eCOGRA is impossible. It may be the case that they are simply passing on a claim from Grand Prive, who are, in their turn, lying; but this would nevertheless represent extremely sloppy investigation on the part of eCOGRA. The relevant claimants' information was located in the database and information used for the linking and tracking of players associated with the claimants was obtained, in part using information supplied in the claim submissions received from affiliates. And yet, looking at the immediate fallout from the report, noone received a satisfactory settlement. Clearly, the database is wrong. On that note, a technicality was raised about the possible loss of data from a predecessor affiliate programme, one "Referspot", which very likely would explain the discrepancy - see this GPWA forum post. This may or may not be the case, but at best some very sloppy accounting has taken place here, on the back of the withholding of vital information on the part of Grand Privè. And on a sidenote: all this brings the issue of the trusted third party, AGD, back into the frame: their input would have headed off any such discrepancies or red herrings, as well as guaranteeing overall impartiality. The eCOGRA findings fell apart at the seams almost before they were issued precisely because just such a voice was not present. Even assuming the most cynical of motives for chosing to keep them out, this was a blundering mistake on the part of the Grand Prive / eCOGRA / Microgaming triangle. At this moment in time, thirty six hours after the release of the findings, eCOGRA appears destined to be going back to the drawing board and redressing the matters resulting from their less than successful accounting practices on view to date, described by one GPWA employee as representing a "botched audit", which seems a pretty fair description. eCogra final report on Grand Prive at the GIA. ...announce the fact that a regulator, the Advertising Standards Authority, has actually just done its job, made a fair judgement based on a sensible adjudication without recourse to "must-back-casino-at-all-costs" mentality, and found for the player, against the casino. No, I did not write that backwards. I did not say "for the casino, against the player". I wrote it right first time: for the player, against the casino. A TV ad for Bet365 stated "Back any single winner at 4/1 or more on any race shown live on Channel 4 and we'll give you a free bet to the same stake on the next live Channel 4 race. Your free bet also wins at odds of 4/1 or more, you qualify for a free bet on the next Channel 4 race. Keep backing those winners and we’ll keep giving you free bets!" Three viewers challenged whether the ad was misleading, because after winning one free bet they were told they could no longer take part in the promotion. Bet365 said they believed the three viewers had unusual betting patterns and were exploiting the free offer. They believed two viewers were using betting exchanges whereby they could offset the risk of a bet and gain a free bet without risking any of their own money. Bet365 contended that an examination of the customers accounts showed that they bet on races with the same odds and, because they did not bet on all races, said it appeared they were systematically selecting races that allowed them to exploit the free bet offer. 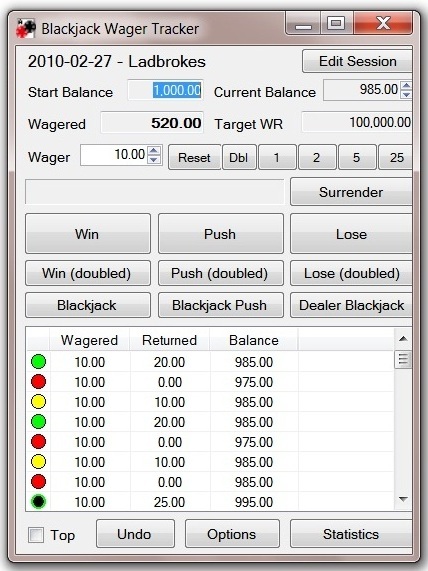 Bet365 stated that the third viewer also made selective bets and suspected they used a betting exchange. They believed the viewer backed horses each way, effectively giving them a bet on the horse both to win and lose, and they were unlikely to lose any money, which was "bad business". Bet365 said their terms and conditions made clear that promotional offers were only available for recreational players and explained they would only take the step of excluding a customer from the offer after a full investigation of their account and historic betting activity. Bet365 said only 2.5% of customers on their database were deemed to be non-recreational and were excluded from offers. Clearcast said the ad was not directed toward professional gamblers and considered the specific issues raised by viewers about their accounts was a matter between them and the advertiser. The ASA considered that the ad was likely to be interpreted as encouraging viewers to place successive bets on the condition that if they won they could place a further bet for free. We understood that Bet365 excluded a proportion of customers who they deemed to be non-recreational players; however, we considered that without defined criteria, it appeared that Bet365 had excluded customers from the offer when they were winning or were no longer profitable. We noted the ad did not state that customers who made each way bets, won frequently on similar bets, or used betting exchanges would be excluded from the offer. Although we understood that Bet365 believed the viewers were exploiting the offer, in the absence of qualification in the ad to make Bet365s limitations on the offer clear, we concluded the ad was likely to mislead. The ad must not appear again in its current form. We told Bet365 to make the limitations of offers clear in future. Forget about the Kahnawake Gaming Commission, that merry band of tomahawk-toting tribesmen of the Canadian Indian reserve so beloved of crooked online casino operators the world over, who recently told us that the last ten years of fakery and negligence didn't matter, because they'd now turned over a new leaf and appointed eCOGRA, that renowned Microgaming puppet operation of industry whitewash plasterers, to "test compliance of KGC licensees", representing a New Dawn For Kahnawake. Forget about the Malta LGA, that reknowned Maltese cartel of shady government officials and dark threats, who don't respond to player complaints in anything less than a year, if at all, and who continue to license sportsbooks long after they've stopped paying players - but who are now a new, improved, groovy and cool operation of industry movers and shakers because they've got a hot new director and 335 operations on their books. Forget about the Alderney Gambling Control Commission, who when just once put to the test, found for the casino because the player obviously abused the bonus, irrespective of the fact that he followed all the rules to the letter. In fact, you can pick up all those industry fakes and dump them straight in the recycle bin. Because there's a new man in town, one who doesn't fall over and ask for his tummy to be tickled when an operator tries to pull the wool over his eyes with incoherent, unsubstantiated babbling about "non-recreational players" who were "bad for business", all long after their bets had been accepted and the players had (horror of horrors, kill me now) won. When this happens, the ASA says "This is what you said, this is what you did, what you did wasn't what you said you'd do, so go take a hike because you're not doing it on our turf". Our aim at the ASA is to ensure that consumers do not just enjoy the ads they see, but they can trust them too. ...it actually means it, and stands by its promise by enforcing the rules. This is some bad news for the online gambling industry if it ever wants to gain a foothold in the United Kingdom. It'll have do what it says it'll do, or face having to stop saying it. Kahnawake, Malta, Alderney and eCOGRA must be shaking their heads in horror. What will their world come to if their industry ends up having to stand by its promises and pay what it says it'll pay? We understood that Bet365 excluded a proportion of customers who they deemed to be non-recreational players; however, we considered that without defined criteria, it appeared that Bet365 had excluded customers from the offer when they were winning or were no longer profitable. Job well done, ASA. Job well done indeed. Aah, so you noticed it then. Your enthusiasm for the ASA is a little misplaced I feel. They're not a regulator, and all they can do is ask for an advert not to be repeated in exactly the same way as the one complained about. For example William Hill recently had a complaint against them upheld, because their adverts claim "best prices FACT" based on a comparison that doesn't include Betfair. If it did they wouldn't top the comparison. Even before the adjudication was published they just carried on with the same dishonest claim, but with a disclaimer "not all bookmakers appear in the comparison". So that's perfectly OK apparently. It's like saying "3 is the smallest whole number, FACT" with a disclaimer in smaller type that "not all numbers were included in the comparison". The Bet365 advert you're crowing about was back on TV with a disclaimer no one would read the Saturday after this ruling. The link you posted is to another successfully upheld complaint - William Hill must not repeat the advert. Obviously, the advert cannot be retrospectively aborted. As such, this would appear to be another successful ruling in the players' favour. As to the point of the article, again, the complaint was upheld and the advert must not be repeated. In other words, a successful result. The ASA "regulates" adverts. Noone is claiming it does anything else, that it handles non-payment complaints or whatever. And it appears to work very successfully within its remit, going by these two cases. The online gambling industry is built on BS. However, at least in this country it looks like the BS merchants are now being held to account. This is excellent. Lots of excellent reading here, thank you! I had been looking on yahoo when I uncovered your publish, I’m going to add your feed to Google Reader, I look forward to much more from you. US-facing operators have been hit by an overnight crackdown on online gambling payments by credit card giant Mastercard. The US company is believed to have toughened its stance on the widespread practice of operators coding egaming transaction as other kinds of online commerce, which will all (sic) its US customers from using their cards to gamble online. The crackdown on US online gambling credit card payments that began on Wednesday is being operated by Visa as well as rival US credit card giant Mastercard, EGRmagazine has now confirmed, with tens of thousands of US online gamblers likely to have been affected. 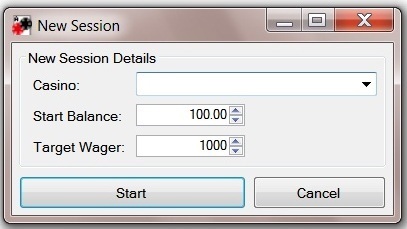 In order to better avoid of the USA anti-gambling radar, some gambling operators accepting US customers have been coding their Visa and Mastercard transactions in a manner as to not appear as gambling-related. The correct "internet gambing" merchant code is 7995; some operators have been putting their transactions through thus, and taking a chance as to whether or not the deposit goes through; others have not. To put it another way: they've been trying to circumvent the system. Since the February crackdown appears to have been applied retrospectively to January, players now face the prospect that their deposits - with which they will have had plenty of time to play, and lose or win on accordingly - will now almost certainly not be honoured by Mastercard and Visa, resulting in an effective chargeback. This may have a knock-on effect when it comes to winning players receiving their payments. And while the general tone of the internet discussion on this matter has been one of condemnation of the US administration in the wielding of its prohibitionist axe, I'm personally interested to ask this question: why should we not lay the blame for this squarely at the door of the online gambling operators, still dealing to US customers, who tried to cheat the system in the first place? Their motives were purely profit-driven in attempting to stay below the radar. But it is the players, who committed no wrongdoing, who may suffer as a consequence. PokerStars does not, nor ever has engaged in the practices of mis-coded credit card transactions. We have therefore been unaffected by any crackdown by Visa or MasterCard to close down such mis-coded processing accounts. So, all well and good for the folks who've behaved honestly. But the casinos and sportsbooks that have been trying to put one over Mastercard and Visa, whatever the ultimate cost they pay as a result of this matter may be, do not deserve any sympathy. They particularly do not deserve any sympathy from those players who may end up seriously inconvenienced, and possibly out of pocket, as a result of their duplicity.